I took a survey on Twitter, I told Twitter that I wasn't particularly interested in the World Cup and that I certainly wasn't going to follow it on Twitter. Not withstanding, this turned up on my Twitter page yesterday morning. Google meanwhile were getting in early (prior to the Google Doodle). A tour of the streets painted in celebration of the games? OK, firstly Google the World Cup doesn't get referred to as games (football is usually matches you know) and secondly the painting I've seen on the news wouldn't appear to be celebrating the World Cup as much as asking it to please go away (and not quite as politely as I'm putting it). 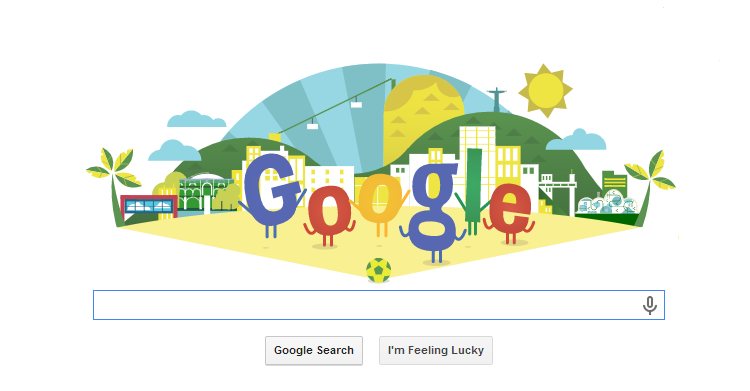 Here is the Google Doodle to celebrate the World Cup.